DELUMINATOR gives a little update about the upcoming record. Check the show dates below for a show near you. "Yo everybody, we‘re nearly done with writing our second full length record and we’re going to hit the studio in may. 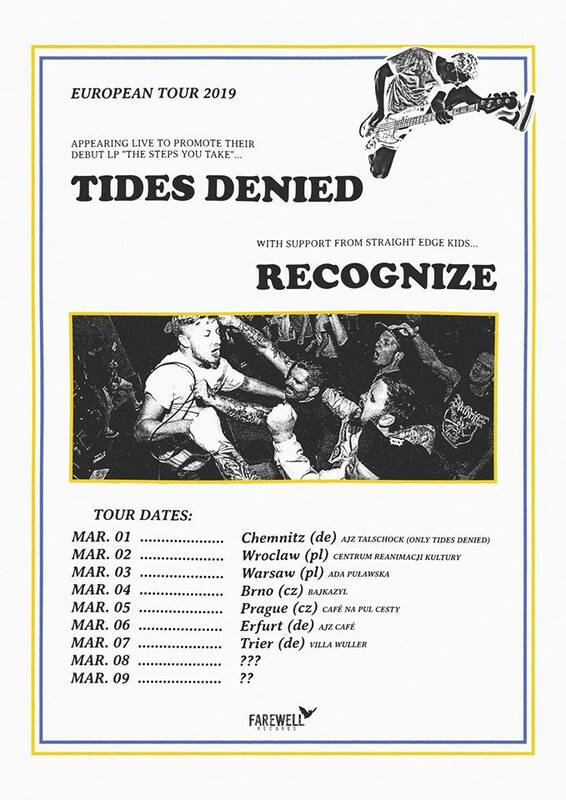 Until then we‘ll play three shows. See you in the pit! RISK IT! Eastern European tour starts this friday. RISK IT! is heading east for even some new yet undiscovered places. The pre-orders for RISK IT! 's new 7" is live now. Head over to our WEBSHOP to save your copy. We have some nice bundles aswell. Check out the new song ´Collision Course´ below. RISK IT! 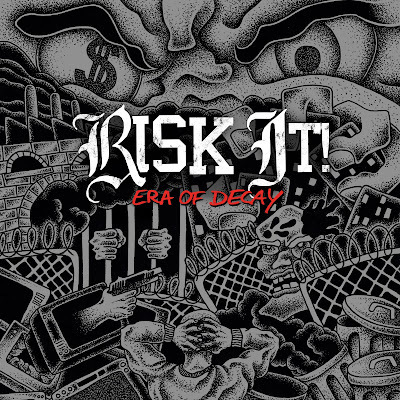 ´Era Of Decay´ 7"
We will start taking pre-orders for RISK IT! 's new 7" this Sunday, March 10th. Mark your calendars for a release show scheduled for April 6th 2019 in Dresden, DE @ Chemiefabrik along Soulground, Coldburn, Absolve, & Pain. RISK IT! 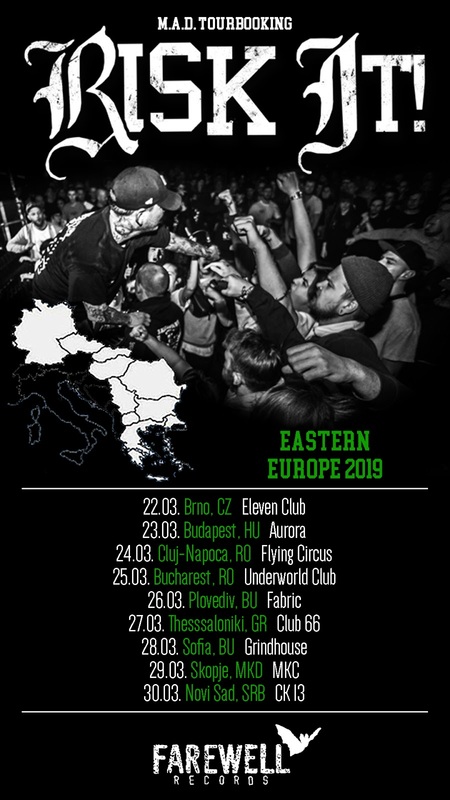 head out for an extended Eastern European tour leading to places like Hungary, Romania, Bulgaria, Greece, Macedonia, & Serbia. Check the dates below and RSVP events on Facebook. 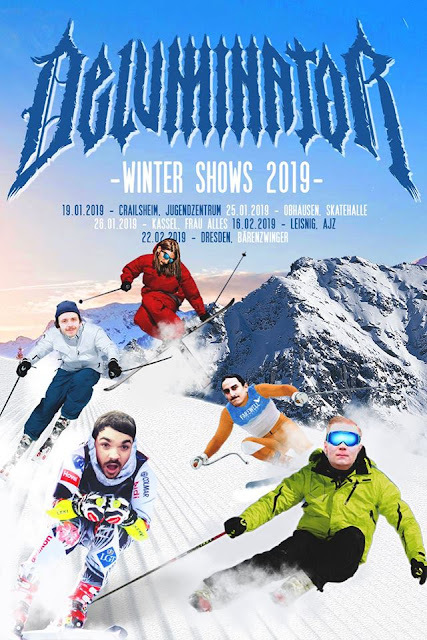 DELUMINATOR just announced a string of dates for January & February 2019. They come by ski and YOU might get involved in a snowball fight. Roll out! 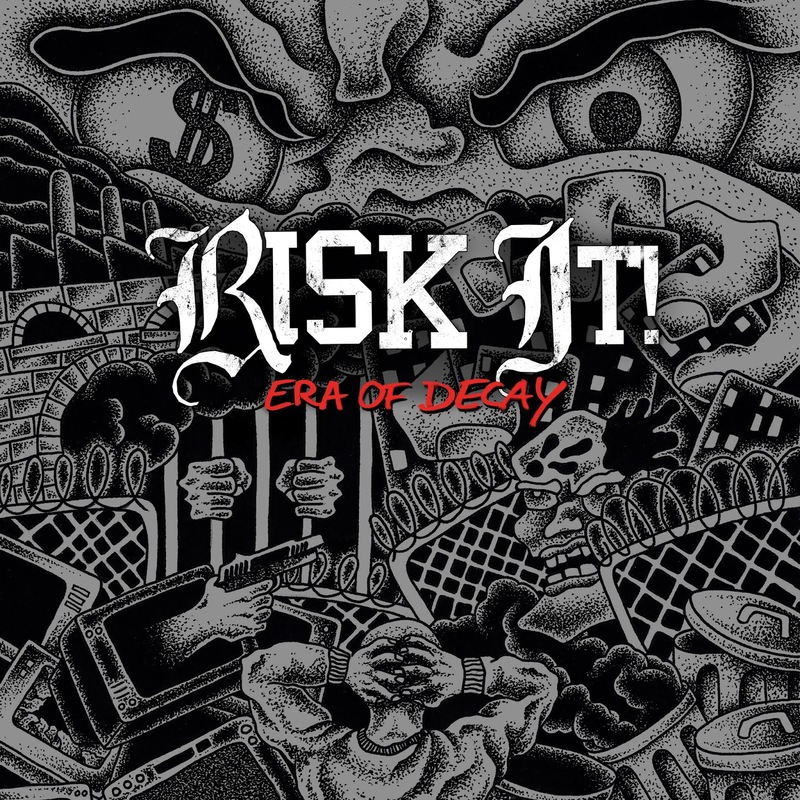 DEMOLITION ´Mad At The World´ 7"
Era Of Decay by Risk It! 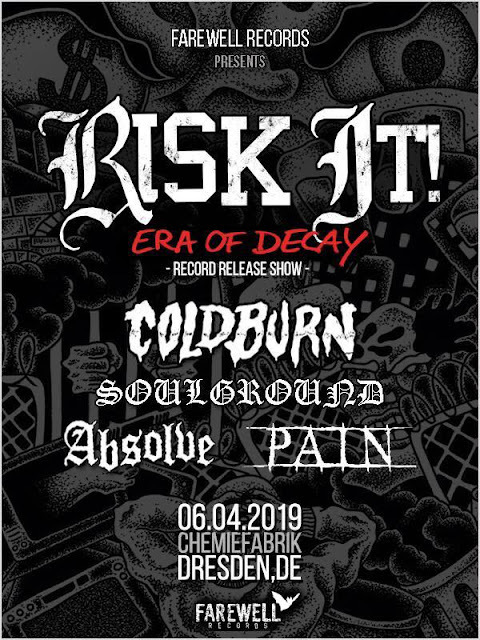 RISK IT!´Era Of Decay´ 7"
FAREWELL RECORDS 2019. Powered by Blogger.